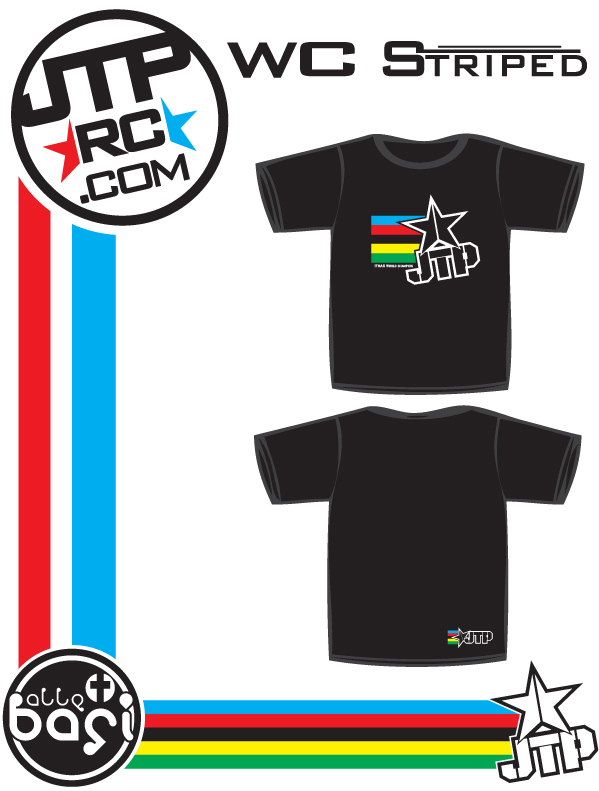 I am pretty excited to have some new JTP Shirts on the horizon. Here is a little sneak peek. First off is the JTP WC Striped shirt. In cycling the reigning World Champion wears a special jersey with the UCI World Championship stripes on it. I have really liked the look of those jerseys and I think the idea of it is pretty cool. You will also see manufacturers using those stripes in the products that have won a World Championship. 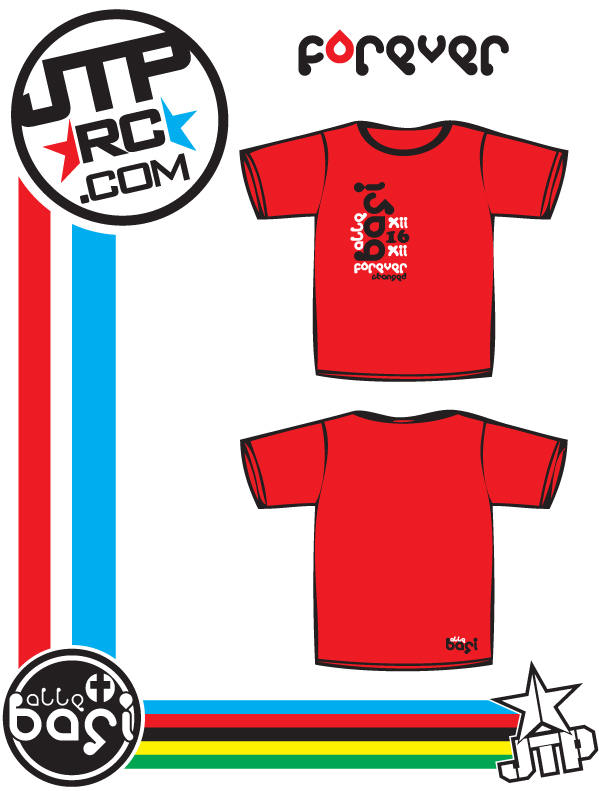 I designed this shirt to represent my two IFMAR World Championships. The shirt is 100% US made and printed. Printed on a premium quality American Apparel shirt. Next Shirt is an Allebasi shirt. Most of you know that my wife and I lost our second child, Isabella. She had a condidtion called ABS, amniotic band syndrome, but she changed us both forever. I have been wanting to make a shirt that I coiuld wear and other people could wear as well, to keep us all reminded about what is important in life. The shirt also has her birth date on it 12/16/12. This shirt is printed in the US on a Gilden 50/50 Shirt. Hey man… Striped only has 1 P. When I first saw this on RC News, I thought you had gotten stripped of your WC title. haha. Thanks. I got it fixed. Jared. I have followed you for quite sometime. I remember seeing a post on neobuggy a year or more ago about your line of Allebasi products to honor you daughter. It wasn’t up until today when I saw your new shirts that I relized the condition she had. I was born with this condition and would love to share with you my story. Feel free to email me.